MoMo 2.0: A Baby WHAT? Thanks to us the words "baby shower" and "baby shower games" were googled more than once last week in the community of Herning, Denmark! Jess and Jeff were in town and at the suggestion of one of my dear friends, I decided to throw a baby shower for them. I thought it would be a great way for all of them to meet Jeff, eat a little BBQ, and see a bit of how we do things in Texas! 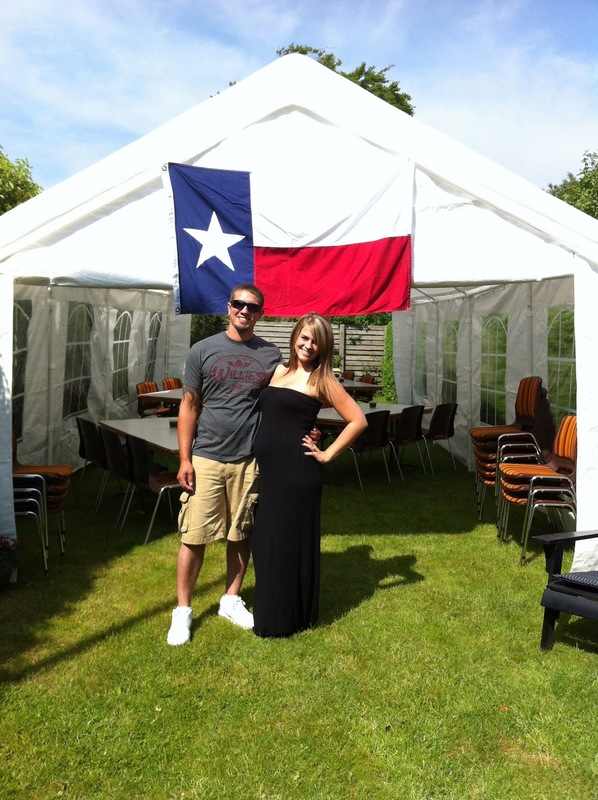 So we hung the flag, smoked the brisket, planned the games, and chilled the drinks...and then we were ready! The name means to come and "shower" the new baby (or usually the baby's momma) with gifts to welcome her into the world. And if you notice in the picture just below, I am sitting there with a pad of paper and a pen because it is also tradition that we write down each gift and who gave it so that the momma can write her thank you notes later on. And the other tradition which we KINDA skimped on this time is that you should pass each gift around after it's opened so everyone can OOOOO and AHHHHH over it..... Instead we just held it up, eliciting the OOOOs and AHHHS! Take a look at all the things that Corrie Ann Wells has waiting for her arrival....and LOOK AT ALL THAT PINK!!!! :-) Farfar Nørgaard (Mads' dad actually bought the pink sweater set on the right HIMSELF! It was hand knitted just for Corrie by an 80-year old woman in Silkeborg! It is so precious!! And then there is the gift that Papa Mads bought for Corrie...her first soccer, I mean FOOTBALL, "jersey"! I am certain she will be getting a pair of RED CONVERSE tennis shoes to go with it! 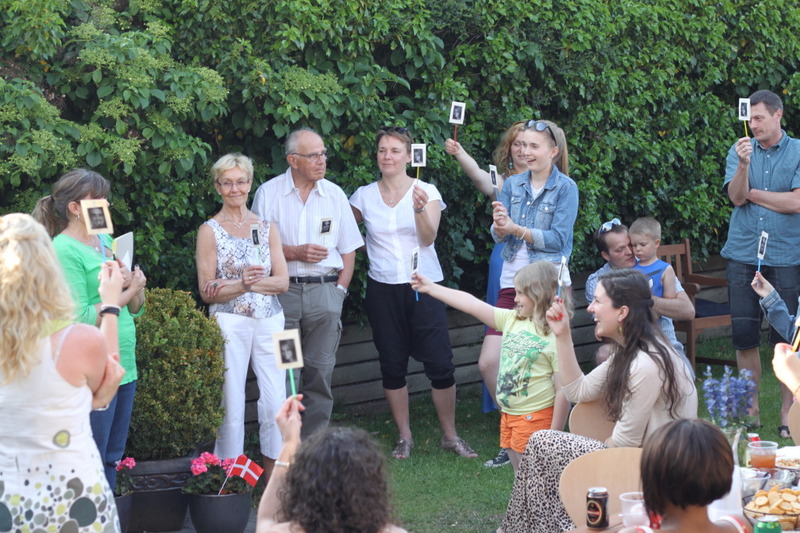 Although opening the gifts and seeing all the wonderful things was SO MUCH FUN, the greatest part of the night was, for me, to sit there and see how all of my friends and family here in Denmark opened their hearts up to Jess and Jeff.... They love and accept them because of the fact that they love and accept me... which really is an overwhelming feeling. People who, 5 years ago, I did not even know came and shared this very special night with my family. 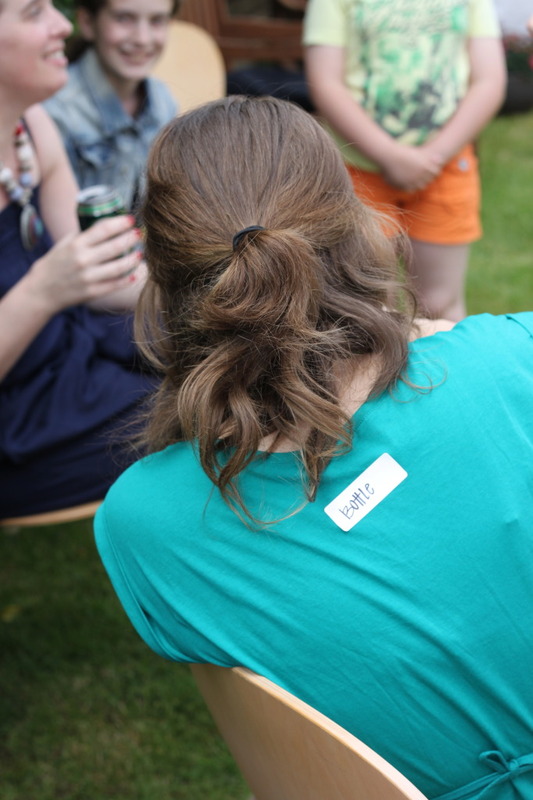 It really does show you how incredibly important our expat community is... it really does become our family. 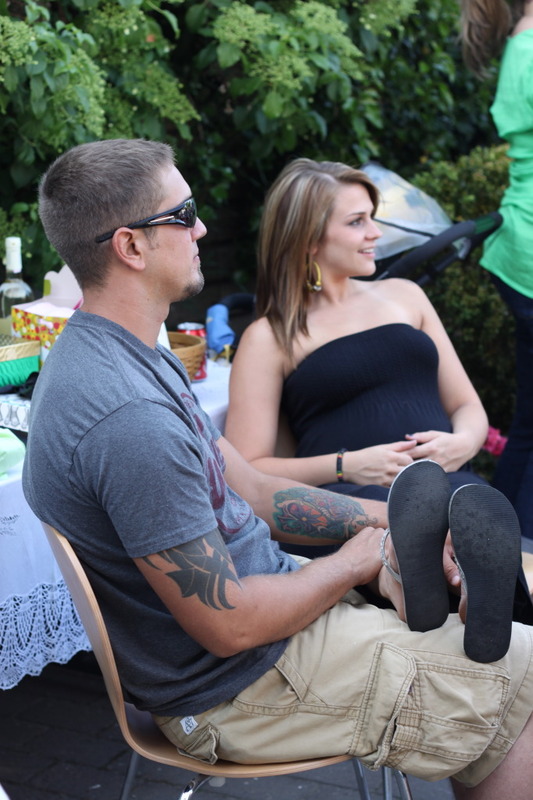 Thank you to everyone for coming to our Baby Shower BBQ....for the amazing gifts....for participating in my silly games....and most of all for welcoming my precious granddaughter into this world before she even arrives. I love you all!! No one ever said Texans don't know how to party! Looks like everyone had a terrific time! Those games look awesome - so hilarious! We don't have baby showers in England either. 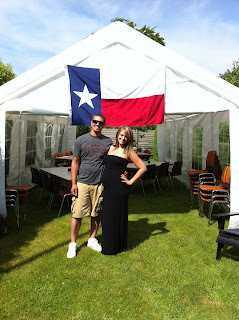 I love that you rocked a big fat American style baby shower in Herning for Jess! I have to admit, it's really something I've been super bummed about...the fact that baby showers don't exist here, I mean! It makes me feel pretty selfish for being upset that I won't have one, but all my close friends in the States have had theirs (or will soon), and as American ladies, I think it's something we really look forward too as part of our pregnancy, right? Hahaha, I was laughing good at the pin the sperm game! Funny! 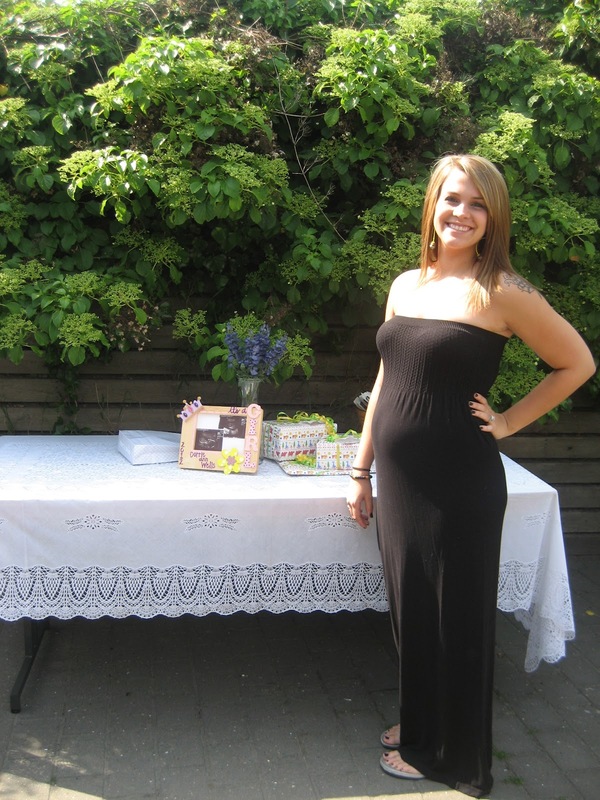 Congratulations to Jeff and Jess, Jess looks great for a pregnant momma! This was such a good idea. I love the pics. Pin the sperm on the egg is hilarious! And that hand knit sweater set picked out by her farfar...how sweet! Corrie is one lucky little lady to have such an awesome family!